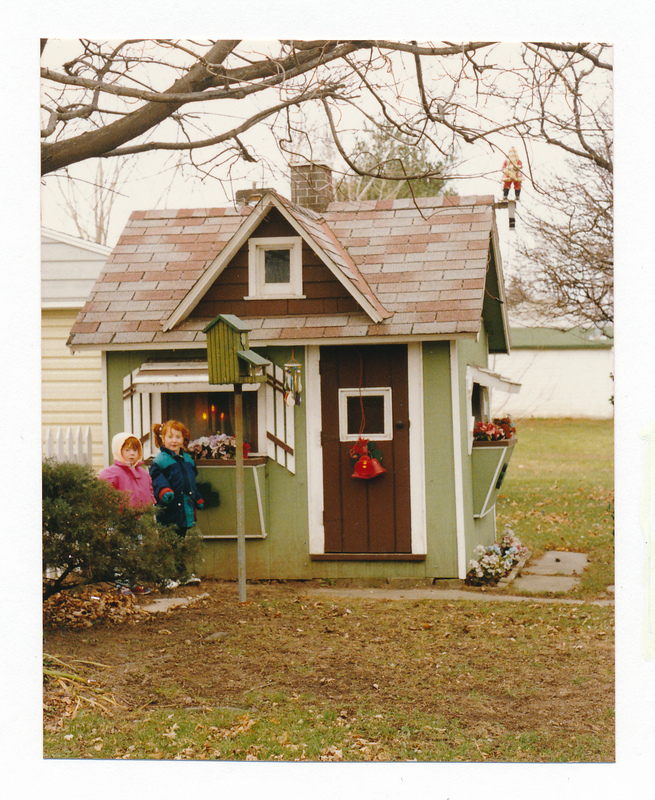 In 1990 my daughters and I went on expeditions around our home in Northeast Wisconsin to find clubhouses or playhouses. In Kaukauna, we learned that this playhouse was originally built as a root beer stand and then remodeled. My kids enjoyed posing in front of it to show off the careful attention to scale and detail. It's still there today, and it definitely looks 23 years older. My kids have grown a bit since then as well. 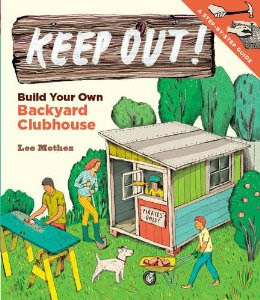 After our first clubhouse out on the vacant lot (above on masthead) got wrecked by some kids, four of us formed a club and build this clubhouse. 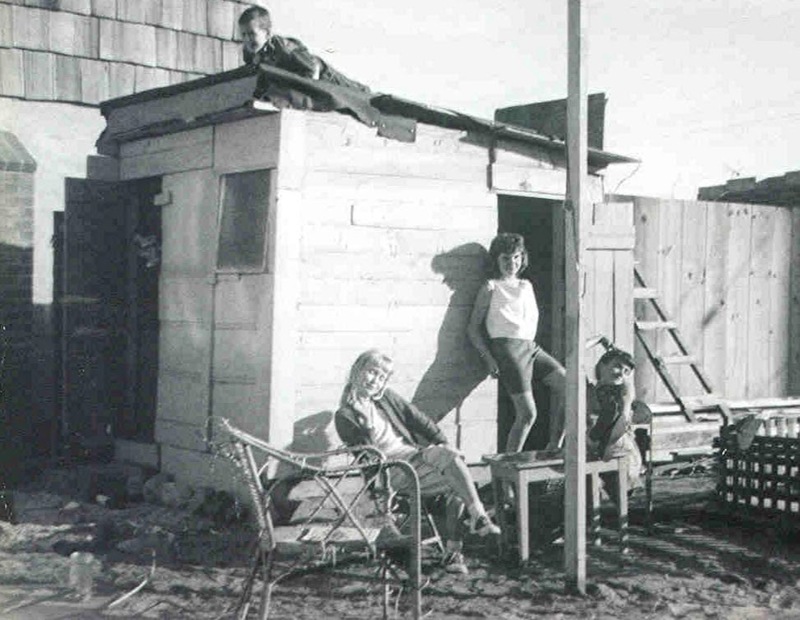 It turned out that Kathy (seated at right) got us permission to use a fenced-in back yard her parents only used for storing junk and extra lumber; Chris, in the doorway, knew how to find really cool stuff in the trash, Chele, seated at left, was Kathy's friend, and I (who took the picture) was able to build it. The other kids helped by finding some of the wood. We built this from wood we found or that the neighbors donated. As Christmas approached, we needed paint and more nails to finish the clubhouse. When my mom asked what I wanted Santa to bring me, I quickly replied, "About five pounds of 8-penny nails and a gallon of turquoise paint!" Santa came through, and the clubhouse, in this picture, was bright turquoise!